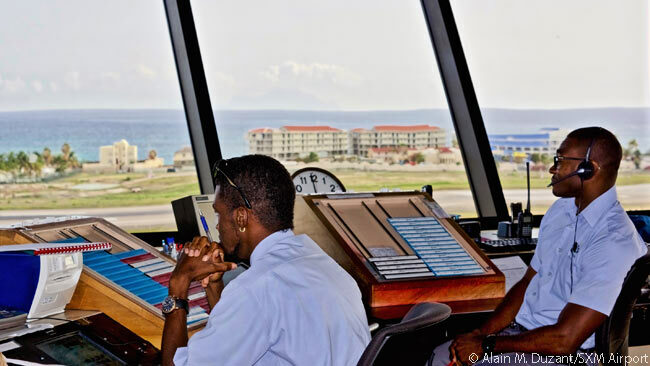 The air traffic control (ATC) provider which controls all air traffic movements at Sint Maarten’s Princess Juliana International Airport (PJIA) and provides approach control to five other airports in the region is seeking to extend the volume of airspace it covers. 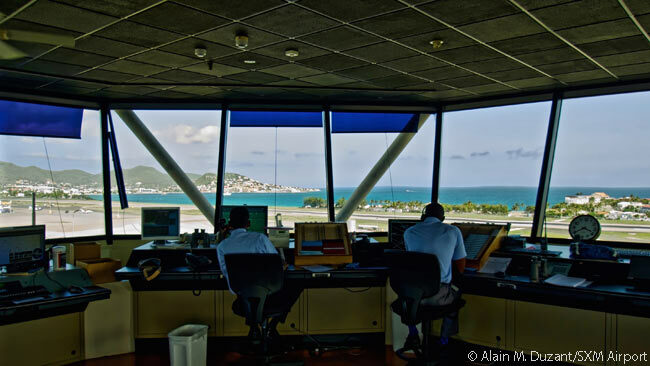 Sint Maarten’s air navigation service provider (ANSP) is Juliana Air Traffic Services (JATS), a subsidiary of the company which operates PJIA. 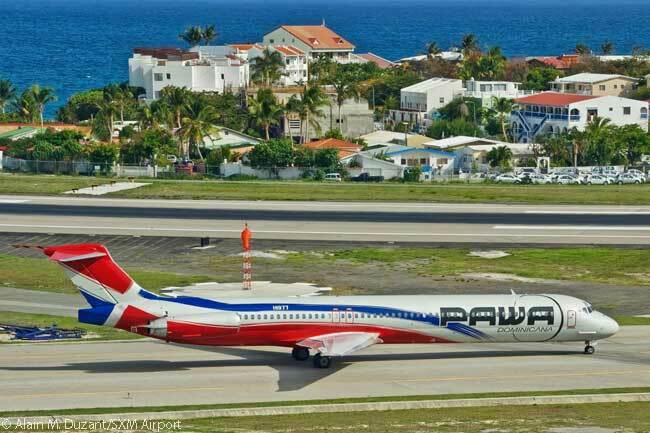 That company markets itself and PJIA as ‘SXM Airport’, SXM being the airport’s IATA three-letter code. JATS currently has responsibility for a pentagon-shaped airspace area – containing at least five different airspace volumes, including volumes of Class C and Class D controlled airspace – over and around the Dutch autonomous country of Sint Maarten and the French overseas collective of Saint-Martin. Both territories are located on the island of Saint Martin.in the Eastern Caribbean. 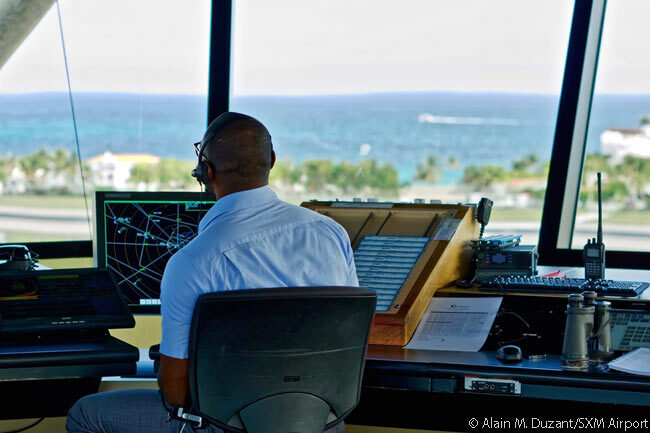 Within JATS’ pentagonal area of airspace coverage are PJIA and five smaller airports – on the islands of Anguilla, Saba, Saint Barth, Sint Eustatius and at Grand-Case in Saint-Martin. 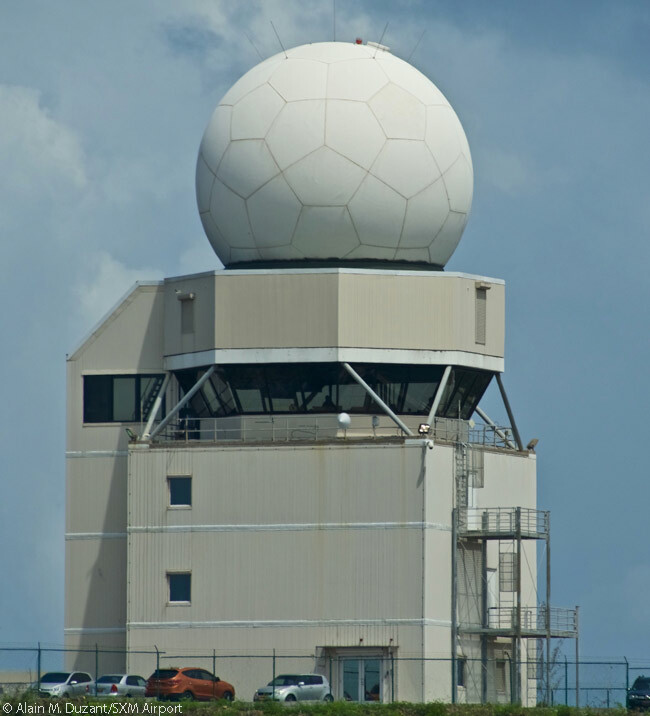 JATS provides approach and tower control for PJIA and approach control for the other five airports, as well as tower and flight information services when required. The airspace volume controlled by JATS is bounded by huge volumes of upper and lower airspace in the San Juan Flight Information Region (FIR) overhead and to the west, and in the Piarco FIR to the east and south. 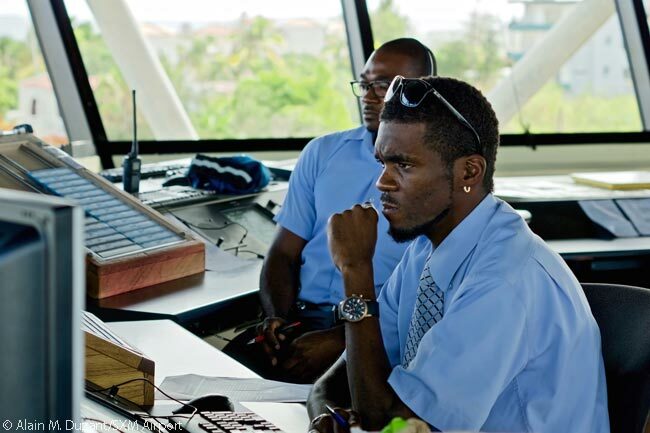 All the San Juan FIR upper and lower airspace above and to the west of JATS’ coverage area is controlled by the FAA’s Combined En Route Approach Control Facility (CERAP) at San Juan and all the Piarco FIR airspace to the south and east is controlled by the Piarco Area Control Center (ACC) in Trinidad and Tobago. The Piarco FIR is especially extensive, extending throughout an area of 750,000 square miles from the southern and eastern Caribbean to halfway across the Atlantic Ocean. Because these large airspace volumes are already covered by other ANSPs, JATS is seeking to extend its managed airspace volume to the north and northeast, according to Duncan van Heyningen, an air traffic control supervisor at JATS. This airspace volume doesn’t come under the jurisdiction of either the San Juan CERAP or the Piarco ACC. Through rounds of political and trade negotiation, JATS is also attempting to increase its coverage from a current ceiling of 15,000ft (flight level 150) in the Class D airspace in the Juliana Terminal Maneuvering Area to 18,000ft or even up to a potential 24,500ft. For JATS to extend its existing airspace volume from FL150 up to 18,000ft, the altitude ceiling at which aircraft are normally allowed to operate under visual flight rules (VFR), might be a relatively simple matter of the San Juan CERAP agreeing to let JATS control 3,000 more feet of airspace altitude within its existing volume of airspace coverage. But it might be more difficult for JATS to be able to extend its airspace coverage to 24,500ft (FL245). This is because all airspace above 18,000ft is considered to be Class A airspace – that is, airspace at which aircraft must normally operate under instrument flight rules (IFR), partly because of the speeds at which they are flying. 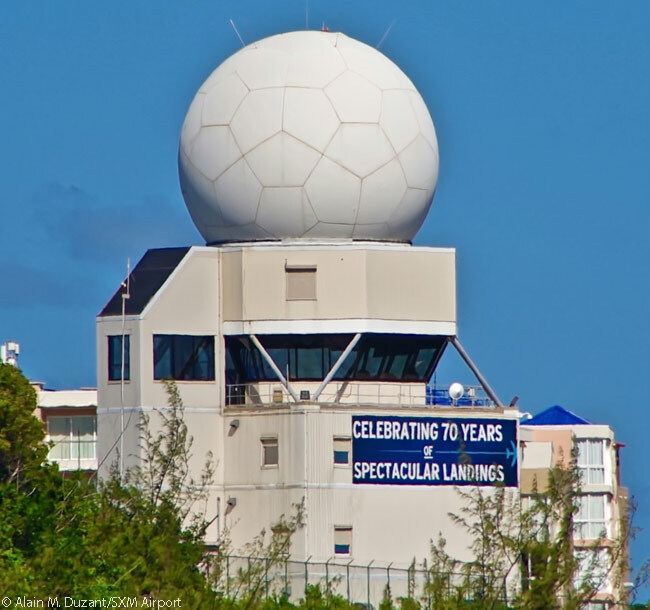 Like most other organizations, ANSPs such as the FAA at San Juan and the Piarco ACC are not keen to see their fiefdoms reduced in any way. In part this is down to politics, but in the case of Class A upper airspace, ANSPs obtain substantial amounts of revenue from the fees they levy for the en route and oceanic navigation services they provide. 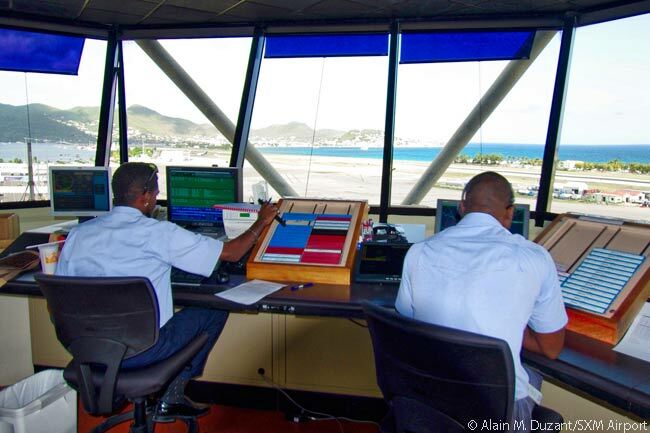 However, van Heyningen explains JATS needs all the extra airspace it can get because of the traffic flow-control problems it experiences in mid-to-late December, the absolute height of the peak air-traffic season at Sint Maarten. The main reason for this is that in addition to being a major hub for commercial-aviation flights in the Eastern Caribbean, SXM Airport is also a busy center for business aviation. In large part this is because there is a large lagoon less than 200 yards away from the fixed-base operation (FBO) facility at SXM Airport. While mainly inland, this lagoon has an outlet to the sea. Wealthy boat owners often moor their yachts in the lagoon so that they can fly into SXM in business jets. Immediately after clearing the small customs and immigration facility in the SXM Airport FBO, these bizjet owners can transfer to their yachts in a matter of minutes, usually to sail to the wealthy, chic islands of Anguilla and Saint Barth a few miles from Sint Maarten and Saint-Martin. However, SXM Airport’s existing ramp parking area near its FBO isn’t large enough to accommodate many large business jets. Additionally, at present, arriving jets have to turn round on the runway after stopping and then back-track along it in order to reach the ramp, because the runway doesn’t have enough turn-offs and it doesn’t have a parallel taxiway. SXM will soon begin construction of a length of bypass taxiway which will allow two or three large jets to turn off the runway after landing and wait while other aircraft land or take off, improving the runway’s efficiency during peak periods, according to Regina LaBega, SXM Airport’s managing director. SXM Airport is also constructing more ramp space for business-jet parking. However, LaBega says another problem is that the airport’s parking fees for large private aircraft remain ridiculously low, a situation not directly under her control. While LaBega intends to try to increase private-jet parking rates soon to a level commensurate with those at comparable airports elsewhere in the Caribbean, for now SXM Airport and JATS often suffer from ground congestion. 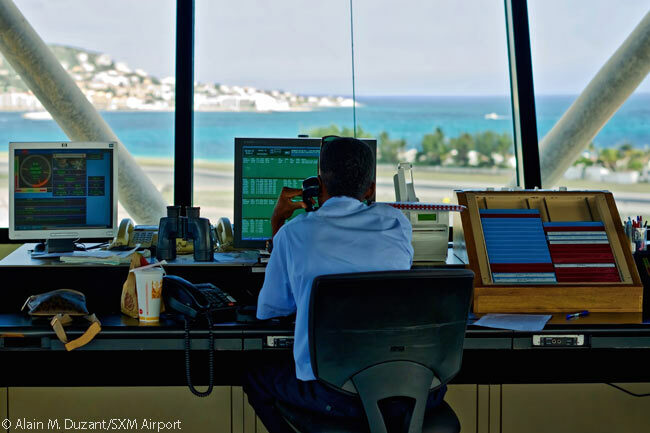 In December and in the peak winter period, there isn’t enough turn-off, taxiway and ramp space at SXM to allow arriving aircraft to park quickly, according to van Heyningen. Outside the peak business-jet season, JATS normally can flow any aircraft entering its airspace down to landing within 12 minutes, and often in eight. But in winter JATS can have 15-20 aircraft inbound to its airspace at a given moment and because of ground congestion at SXM the ANSP can take up to 45 minutes to flow an aircraft down to landing. In such situations, JATS performs prior coordination of the handling of its inbound flights with the San Juan CERAP. Because the San Juan FIR contains an enormously larger volume of airspace than does the JATS airspace, and the San Juan FIR includes a huge volume of Class A airspace, the San Juan CERAP can flow aircraft flexibly throughout the FIR. This means the San Juan CERAP can hold and re-route aircraft when needed, in order to schedule their arrivals into JATS airspace at times when JATS can flow each aircraft down to landing far more quickly. JATS is also developing more efficient approaches for aircraft which have navigation systems that use highly accurate global positioning system (GPS) fixes, helping improve its flow-control capabilities. The ANSP plans to introduce these improved GPS approaches this year. Each approach will be based on RNP 0.3 navigation capability: only aircraft whose navigation systems are certificated to offer Required Navigation Performance accuracy to within 0.3 miles will be able to use the new approaches. But since almost all modern commercial jets and large business aircraft now are delivered with RNP 0.3 navigation capability installed, JATS and SXM Airport should quickly benefit from the development of the new approaches. However, even after SXM Airport constructs additional aircraft-parking space and its planned new bypass taxiway, and introduces its efficient new GPS approaches, van Heyningen notes that JATS’ flow-scheduling difficulties in the peak winter season might not end. “With more parking [space] comes more requests” by business-jet owners and operators to use the airport, he says. Nowadays JATS handles approximately 100,000 aircraft movements a year. About 70 per cent of these land at or take off from SXM, the other 30 per cent using the other five airports for which it provides air navigation services. 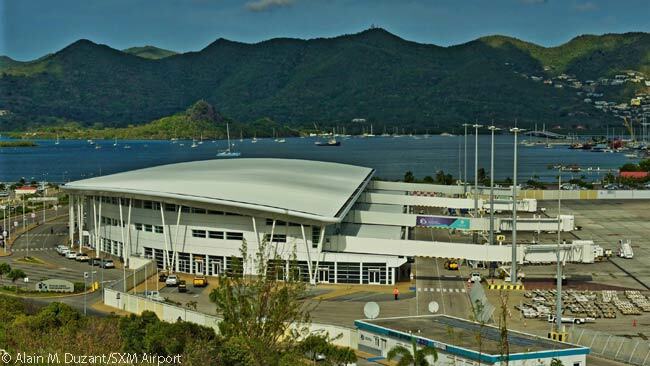 Most of the non-SXM movements are movements at Anguilla’s Clayton J. Lloyd International Airport and Saint Barth’s Gustaf III Airport, according to van Heyningen. Today JATS isn’t handling quite as many aircraft movements annually as it once did: its peak annual total was 110,000 movements, which it recorded in 2007. 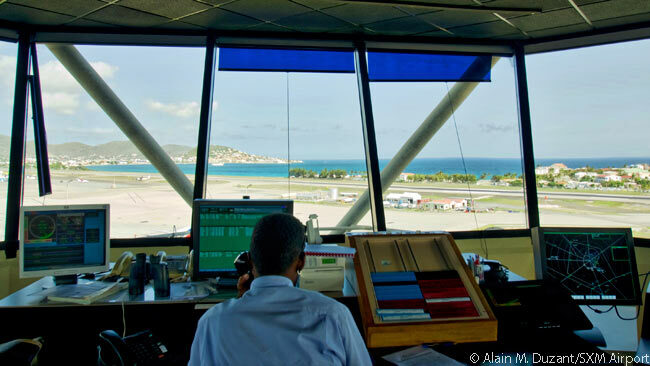 However, in those days JATS actively handled the flow of air traffic – at least 15 flights a day – between the airports of Saint Barth and Saint-Martin (which is served by small commercial aircraft at L’Espérance Airport at Grand-Case). After 2007, JATS acquiesced to an arrangement for air traffic between the two French communities to use two narrow corridors of lower-altitude ‘Temporary Reserved Airspace’ east of the island of Saint Martin without having to contact the Juliana approach or tower frequencies for active control. 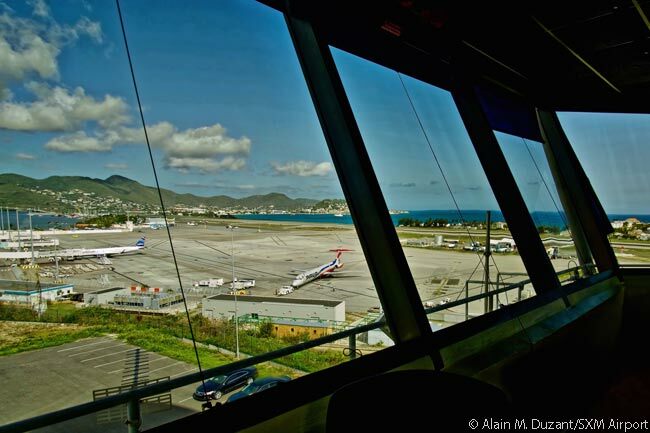 These temporary reserved airspaces have allowed traffic within the corridors to fly at altitudes up to 2,600 feet, which is 1,000 feet above the top of the highest hill on Saint-Martin. However, as SXM Airport gets busier, JATS’ urgent need for more airspace in which to accommodate more aircraft is likely to see it do away soon with this ad hoc arrangement, according to van Heyningen. JATS plans to reduce the maximum altitude of the two temporary reserved airspace corridors between Saint-Martin and Saint Barth to 1,500 feet, making any approach in cloud to Grand-Case tricky and probably ruling out VFR approaches to the airport in anything but fine weather. However, all flights to Saint Barth have to be conducted as VFR operations, because Gustaf III Airport has one of the most extreme approaches in the world and the descent angle to Runway 10, its usual landing runway, is a steep 10 degrees. Pilots require special training and official certification from France’s national aviation authority before being allowed to land at the airport.